5. 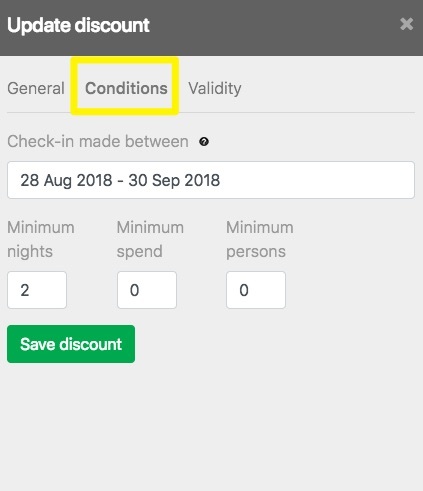 Select whether the Discount will be added to your bookings automatically, or whether you want to manually apply discounts if applicable*. More information on this can be found below. 6. Choose a percentage or an amount for your Discount and hit the Save button. 7. 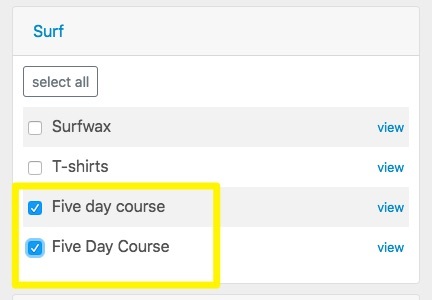 After having created your new Discount, you can set additional settings and conditions by clicking on the Three Dot Icon on the right side of the column. Click Edit. If no Inventory Items are selected, the Discount will be valid on all items by default. Please note that you can also select just certain items within a Package if you don't want the Discount to apply to all the Package Items. What is the difference between Automatic and Manual Discounts? You can choose to apply your Discounts either manually or automatically. 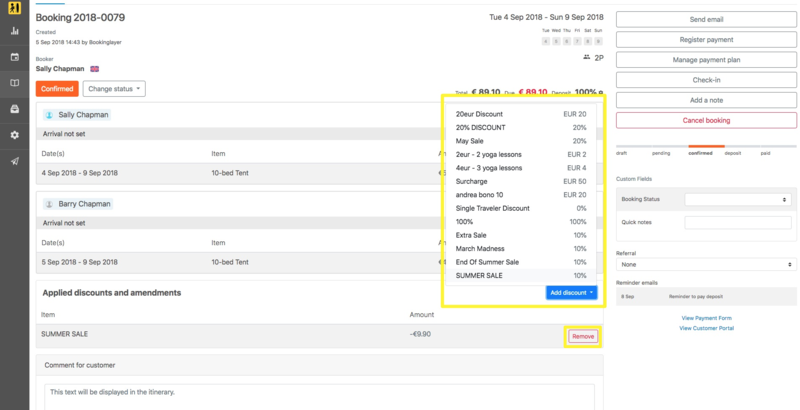 Manual Discounts: you can also set pre-set Discounts in your Backoffice to later manually apply them to bookings in your Backoffice. 1. Open the Booking and select the discount you wish to apply. 2. The system will deduct the discount amount to the booking's total. 3. You can remove a discount by clicking on the red Remove button. Coupons are codes which you can use on your website or in your marketing activities such as newsletters or Facebook posts. 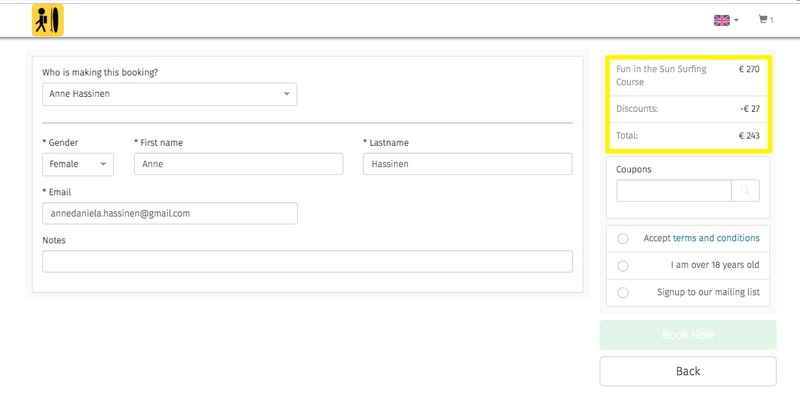 The code can be filled in during the booking process by a client and, when valid, the discount will be applied. You can limit the number of Coupons to give an incentive to early bookers. 2. Make sure that the box to 'Accept Coupons' is ticked. 3. Create a Coupon Code to send to your clients. 4. Choose the maximum amount of redeems. 7. 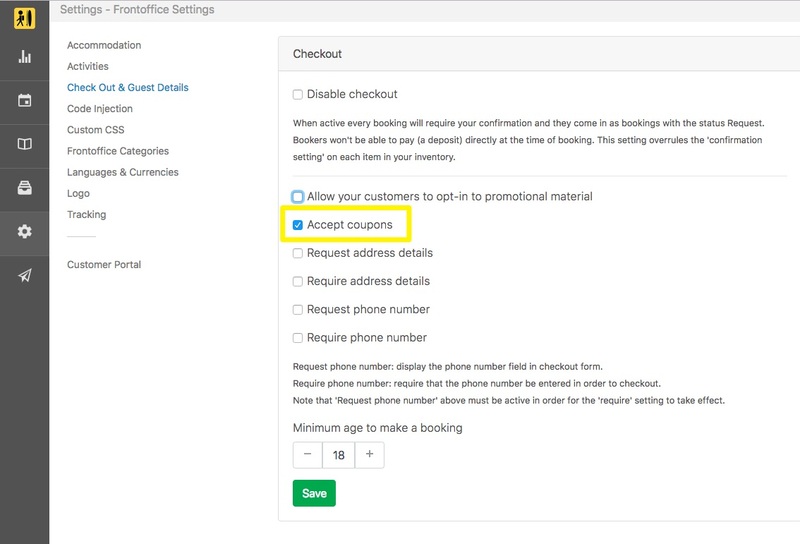 After having created your new Coupon, you can modify and set conditions by clicking on the Three Dot Icon on the right hand side of the column.